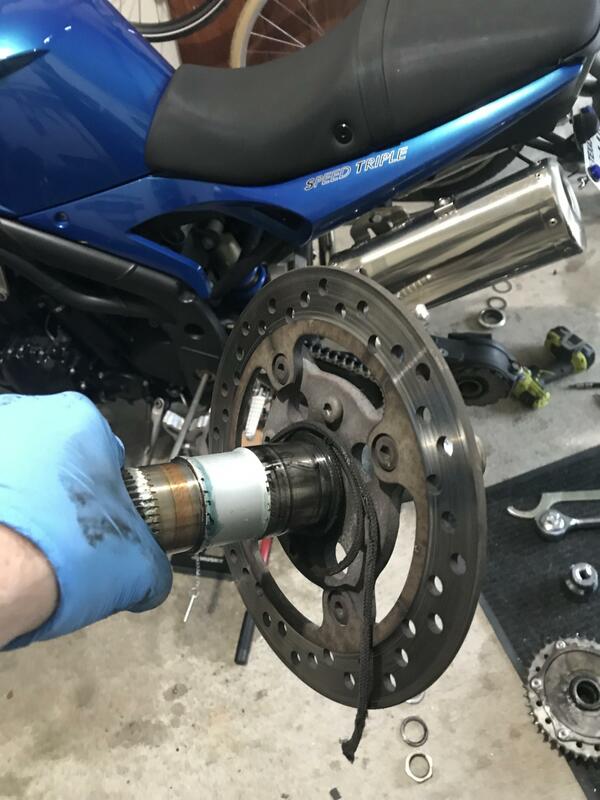 So, today I decided it was time to do the rear bearing grease and maintenance on my speedy. Lo and Behold, I found something that I’m surprised didn’t end me on a ride. Not one, not two, not three, but all four rear wheel pins were sheared. 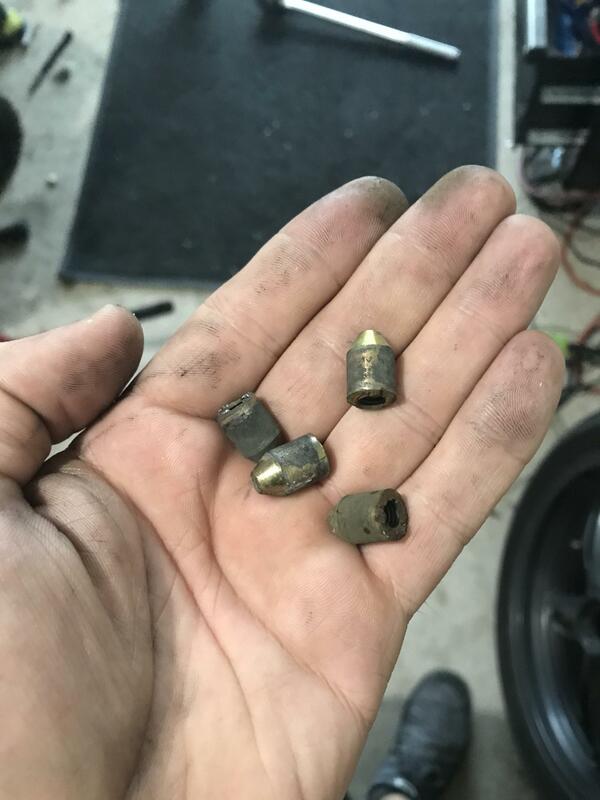 Four “bullets” fell out when I pulled the wheel out, and I slowly realized what had happened. On top of that, i found a nice length of paracord wrapped around the rear axle. Always check your used purchases. Always. Learn about your bike, learn about yourself. ***, you previously rode it and had no slippage or anything. was the paracord to bind it in place or did it get caught in there and cause the alignment pins to break? i know paracord has become the new duct tape. I’m guessing the paracord just got caught in there. The wheel nut was very loose, which is most likely what caused the busted pins. I doubt the PO knew, just a lack of maintenance. I got it for super cheap, so not super surprised. Still dangerous, and I learned my lesson. I'm not sure if this is the cause in your case, but I have heard of another case of these pins shearing in an 05 Speedy and the owner believes it occurred when the belleville washer was put in back to front. in terror like his passengers. Go buy a lotto ticket. Updates! I cleaned up the wheel and axle. The drive pin holes are definitely elongated. On top of that, the wheel rocks about 1 degree in one axis when sitting on the axle flange. Not good. Probably the source of the creaking I heard when moving the bike around sometimes. Anyhow, new wheel and new axle with pins have been sourced on ebay, $200 for everything. Could have been worse I guess. Hopefully it'll be back on the road soon. These aren't thinks I want to "kind of" repair. A wobbly rear wheel when scraping pegs will definitely mean doom.